Kitten has 7 product group with more than 700 products to offer for Pharmaceutical, Food & Beverages, HaReC, Hospital, Automotive and Fluid Processing industries. We carry large inventory with most economical price and active technical support. 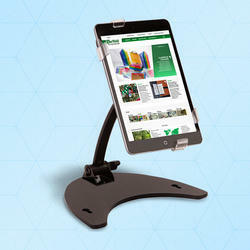 •A very easy to use desktop tablet holder for an efficient and elegant display. Can easily be adapted to a big variety of displays. 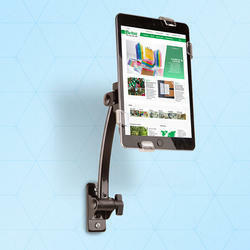 A very easy to use wall mounted tablet holder for an efficient and elegant display. Can easily be adapted to a big variety of displays. •Ergonomic : this 360° rotating arm can be used in portrait or landscape mode. •Multidirectional display that can be adapted to all your display needs. •Transparent corner fasteners for a discrete and aesthetic support. 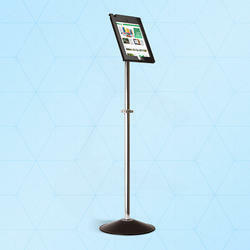 DescriptionA very easy to use pole mount tablet holder for an efficient and elegant display. Can easily be adapted to a large variety of tablets and poles. 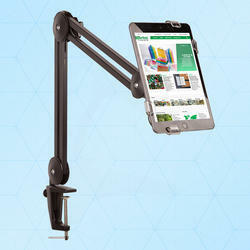 Flexible metallic 3 joint swing arm for easy, efficient and elegant digital display. Can easily be adapted to a big variety of displays. Product benefits•Ergonomic : this 360° rotating arm can be used in portrait or landscape mode. •Extremely flexible : thanks to its 3 joints and pivoting ending (head) it can be adapted to all your display needs. •Strong mechanism with integrated springs. •The tablet can be locked thanks to cap screws at the back Transparent corner fasteners for a discrete and aesthetic support. 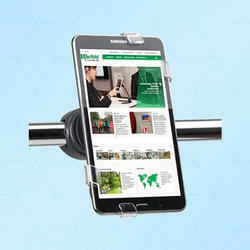 •A very easy to use floor tablet holder for an efficient and elegant display. Can easily be adapted to a big variety of displays. Red Packer Bands are designed to meet or exceed the unique application needs of the industrial markets. They are trusted by professionals for unsurpassed quality and performance. Red Packer Bands come in sizes between 4” and 8.5” flat lengths. They are available in 1 lb. boxes. 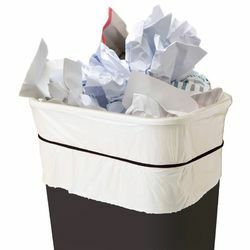 Tired of your bag slipping into your can when adding trash? Can Bandz™ allow you to fill, stuff, and stretch your liner without it slipping. 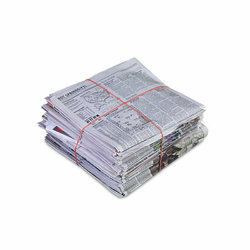 These 7" x 1/8" black bands secure liners for 13 qt. - 32 gallon containers. Day Grab 1000 cm - For hard as well as soft sediments.